Have you ever gone shopping and picked up something because you think you have ran out? Last night I did exactly that. I decided to buy baking supplies and didn't know what I would be baking so bought a mixture of things, flour, sugar etc. When I got home, I opened the cupboard to put it away to find I already had 3 open boxes of flour. I had opened them all and used a little bit of each. I had done this exact same thing to everything else I had purchased. I didn't need to buy anything! I stood there wondering why I had done this, and realised it was definitely time to organise my supplies. So today, I went out on a search for jars and bought a bunch of sizes to organize my goodies! 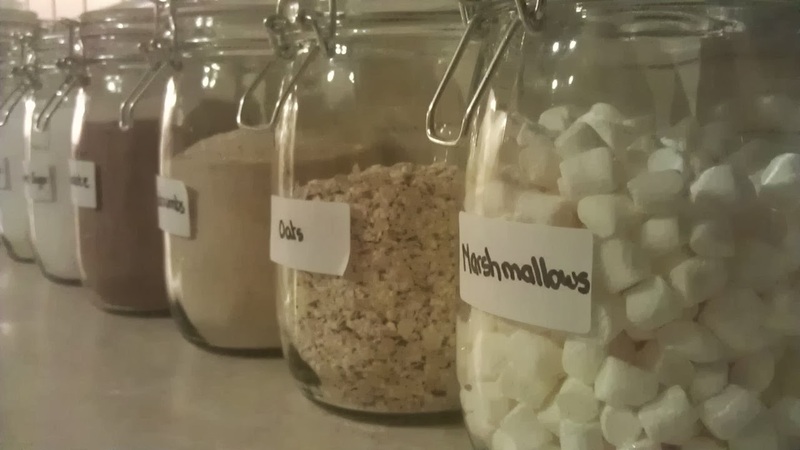 I actually need to go out and buy more jars, but here is my progress so far. What do you think?